He continues, “The same is true with regard to a cellphone in the bedroom. You now find kids at 10, 12, 14, 16 years of age who have their phone in their bedroom at two (o’clock) in the morning. You take the device at night and you put it in the charger, which stays in the parents’ bedroom. No child should have a phone in their bedroom unsupervised. Nearly all children and teenagers have Internet access (84%), often high-speed, and one-third have access in their own bedroom. 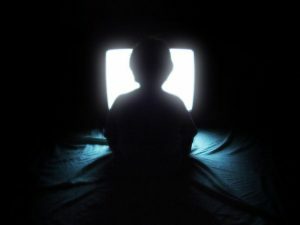 In a recent study, two-thirds of children and teenagers report that their parents have “no rules” about time spent with media.1 Many young children see PG-13 and R-rated movies—either online, on TV, or in movie theaters—that contain problematic content and are clearly inappropriate for them. Few parents have rules about cell phone use for their children or adolescents. There is considerable evidence that a bedroom TV increases the risk for obesity, substance use, and exposure to sexual content.1,2-8. Limit the amount of total entertainment screen time to Discourage screen media exposure for children. Keep the TV set and Internet-connected electronic devices out of the child’s bedroom. Monitor what media their children are using and accessing, including any Web sites they are visiting and social media sites they may be using. Co-view TV, movies, and videos with children and teenagers, and use this as a way of discussing important family values. Model active parenting by establishing a family home use plan for all media. As part of the plan, enforce a mealtime and bedtime “curfew” for media devices, including cell phones. Establish reasonable but firm rules about cell phones, texting, Internet, and social media use.